If you don’t have a cold aircon in your home, then it would not give any pleasant experience to you. Most of the times, you may have this non pleasant experience due to improper aircon servicing. When you hire technicians do to the Aircon servicing, then most of them ignore those things that gives constant problem in your aircon. The ignore correcting those things so you get problem again and you call them again for the solution of new problem. But if you know some basic tips, then you can always get the best outcome from your aircon servicing and you can have better results as well. For your reference and help I am sharing those tips that can help you in this regard with great ease. Check the blockage: When you ask someone to do the aircon servicing, then make sure they remove all the blockage from the vents of aircon. This blockage should not be there at any place including the indoor unit of your aircon and outdoor unit as well. Many technicians does to the Aircon servicing and they put the blockage back on the outdoor unit. If the outdoor unit of your aircon will not have proper air flow, then it will have extra load on it and it will give other troubles as well to you in shorter time. So, if we talk about the most basic tips for aircon servicing, then make sure you check the blockage. Check filter status: If you have a technician for aircon servicing, then make sure you ask him to change the aircon filter. Even if claims your filter is fresh and you don’t need to change it, then also you should ask him to change it. Unlike many other tips this may sound contradictory for you, but you should always have a fresh filter in your aicon. A fresh filter will not only increase the cooling capacity, but it will increase the freshness as well in your room. Other than this, it will reduce the electricity bill also for you. Thermostat position: When we talk about tips of aircon servicing, then people can talk about the coolant, and filter, but they never talk about the thermostat position. If you will keep the thermostat close to any electric bulb or other object that generate heat, then your ac may not perform according to your will. You may set the temperature at a certain level, but due to that heat source temperature of thermostat will always remain high. That means your room will get much colder than your actual requirement and it will put extra load on your air on as well. So, make sure you set the thermostat position wisely and you keep it away from any heat source. 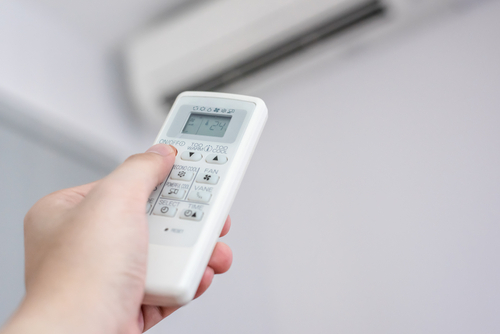 Choose a trustworthy technician: Some diy tips can suggest you to do your aircon servicing work by yourself, but I don’t recommend you do that ever. Instead of that I would ask you to hire someone who has experience in this field and offer the best services to you. If you want you can try doing that work by yourself, but I assure you, you would not be getting any good result with it. In this situation, you may end up having a lot of complication and you damage your aircon as well. 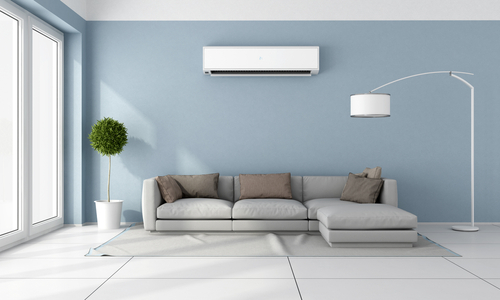 So, if you want to get only the best aircon servicing, then you should hire a technician that has experience and licence to the do aircon servicing work in Singapore. If that person or company does not have necessary documents, then prefer not to hire them in any condition. 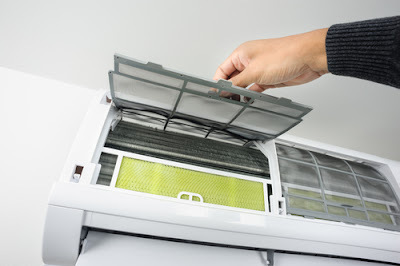 Do it regularly: Most of the aircon experts recommend you to do regular servicing of Aircon in every three months. I don’t have any different opinion with them and I also suggest you to go ahead for a regular maintenance in every three or four months. If you can follow tips given by expert for the regular servicing, then this is certain that you would be able to find many of the problems before they appear. As a result of that you would get more comfortable house and you would never need to deal with the crouching heat during summer. So, make sure you keep these tips in your mind and you do the aircon servicing on regular manner. Ask for warranty: When you hire someone for aircon servicing, then you should ask for warranty of the services. If you will hire a company that does its work with full confidence, then chances are very high you will get warty from them. That should never give any trouble to you and if you get any complication then you can ask for the repairing in the same cost. However, these tips will work for you only if that service provider respect its warranty and gives you services on time. If they don’t give services to you on time, then it will be of no use to hire them for any need. Do check all the things: In many tips, they advise you to leave things on your aircon servicing experts. However, I have just opposite opinion for same. You should check things by yourself before finalizing the work or before giving money to them. If they refilled the coolant in your aircon, then make sure you check the coolant pressure and you pay money to them only if its pressure is as high as committed. Same thing applies for the filter and other things as well. I am suggesting this because if they would not do work as committed, then you cannot say anything at a later time, nor you can ask for a refund in most of the situation. If you can follow these 7 tips for aircon servicing, then you would defiantly have an airocn that will keep working for you all the time and you will have comfortable room as well. So, next time when you hire someone for aircon servicing make sure you keep these things in your mind and you follow the tips accordingly.